The following biographies are for the 2013-2014 AIB Executive Board. The board served from August 1, 2013 to July 31, 2014. Patricia P. McDougall is the William L. Haeberle Professor of Entrepreneurship at Indiana University's Kelley School of Business and the Director of the Institute for International Business. She served as Associate Dean from 2004-2009. She earned her Ph.D. from the University of South Carolina. Dr. McDougall helped pioneer the growing field of international entrepreneurship (IE). She and her co-author were presented the JIBS Decade Award for their 1994 article on the early internationalization of new ventures. She has actively promoted the development of IE to scholars around the world through special issue editorships for four journals and two books on IE, 50+ presentations on IE in 10+ different countries, and conducting special workshops on IE to attract new scholars to the domain. 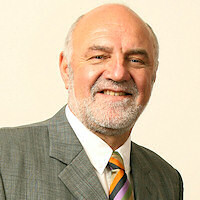 Dr. McDougall is the track chair for SMEs, Entrepreneurship and Born Global for the 2012 AIB Conference. 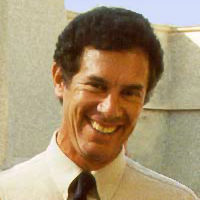 Dr. McDougall has edited four books and published in such journals as JIBS, AMJ, SMJ, JOM, POM, MIR, JBV, ETP, and JIE. 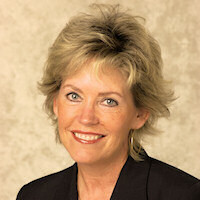 She is a current or former member of nine editorial boards, including a Consulting Editor for JIBS. Her teaching cases appear in more than 25 leading textbooks. 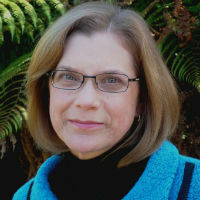 She is active in executive education and has consulted with businesses in Germany, the Netherlands, Indonesia, Mexico, Colombia, Argentina, Guatemala, Costa Rica and the U.S. Dr. McDougall has received several research and teaching recognitions, including the Kelley School's Full Professor Research Excellence Award and Indiana University's Trustees' Teaching Excellence Award. As Director of the Institute for International Business, she is responsible for the University's CIBER grant and numerous other global engagement activities. Three of her current projects include a USAID funded entrepreneurial development program in the Caribbean; the Global Women's Economic Empowerment Initiative, a partnership with the Asia Pacific World Economic Council (APEC), which teaches women entrepreneurs in developing countries how to start and sustain their own micro-ventures; and the Global Business Institute-Middle East and North Africa, a one month long immersive program that provides students from across the Middle East and Northern Africa the opportunity to learn about business in the context of American culture. 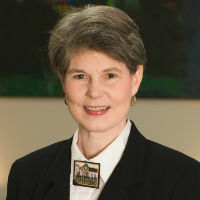 Formerly, Dr. McDougall was a Professor at the Georgia Institute of Technology where she was co-principal investigator on two National Science Foundation grants. In her NSF related role as Co-Director of the Global Innovation for Engineers Program, she worked with the Engineering School to integrate international business, management and entrepreneurship into the engineering curriculum. 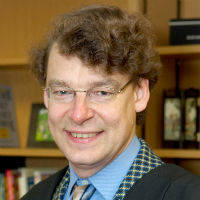 Dr. Tomas Hult is the Eli Broad Professor of Marketing and International Business and Director of the International Business Center (IBC) in the Eli Broad College of Business at Michigan State University. IBC is classified as a National Resource Center (i.e., CIBER) by the U.S. Department of Education. Previously, he was Associate Dean in MSU’s Eli Broad College of Business – a top 20 graduate business school (Forbes 2011, BusinessWeek 2011) and a top 25 undergraduate business school in the USA (U.S. News & World Report 2011). 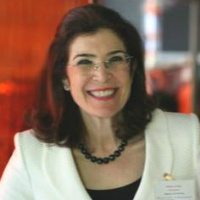 Dr. Hult has been the Executive Director of the Academy of International Business and President of the AIB Foundation since 2004. He is on the Board of the International Trade Center of Mid-Michigan, The Economic Club of Greater Lansing, and the Jagdish and Madhuri Sheth Foundation. Dr. Hult has also served as the President of the 33-university coalition of CIBER schools in the USA. The IBC is an affiliate of the U.S. & Foreign Commercial Service of the U.S. Department of Commerce (USDoC). Since 2012, Tomas Hult serves on the USDoC affiliated District Export Council. 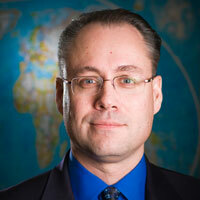 Dr. Tomas Hult is one of the world’s leading authorities in global strategy. 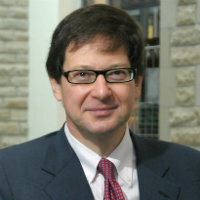 He particularly specializes in topics dealing with the intersection of global marketing and supply chain management. His most recent books are Total Global Strategy (2012) with George Yip (published by Pearson Prentice Hall); Marketing (2012) with William Pride and O.C. Ferrell (published by Cengage); and Partial Least Squares (PLS) Path Modeling with Joe Hair, Christian Ringle, and Marko Sarstedt (published by Sage Publications in 2013). In research, Hult was ranked the 75th “most-cited scientist in economics and business” (and 3rd in marketing) in the world by Thomson Reuters in their Essential Science Indicators covering a period from 1997 to 2007. In a 2012 study by Aguinis et al. (in the Academy of Management Perspectives), Hult was 6th among influential scholars who received their degrees since 1991. His research has been cited more than 10,000 times per Google Scholar (about three-quarters of the cites coming since 2007). 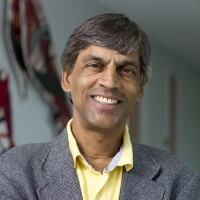 He is an elected Fellow of the Academy of International Business (one of only 5 marketing scholars bestowed with this honor), and Editor-in-Chief of the Journal of the Academy of Marketing Science. He has served as Associate Editor for the Journal of International Business Studies, Journal of Operations Management, and Decision Sciences and currently serves as Associate Editor of the Journal of Supply Chain Management. He also serves on the review boards of the Journal of Marketing, Academy of Management Journal, Strategic Management Journal, Global Strategy Journal, and Journal of Retailing, among others. A dual citizen of Sweden and the U.S., Tomas Hult has been residing in the U.S since 1987 and been at Michigan State University since January 2001. Prior to MSU, he was at Florida State University.